Have the best snow day ever, with no mittens necessary, with the My Little Igloo Playset! The My Little Igloo Playset is full of cute activity toys that are sure to please young arctic explorers. 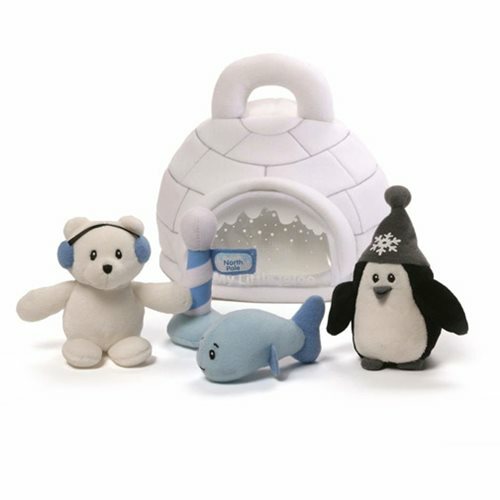 This playset includes an adorable igloo carrying case, a fish rattle, a North Pole flag crinkle toy, a penguin squeaker toy, and a polar bear sound toy. Surface-washable construction for easy cleaning. Ages 0 and up.